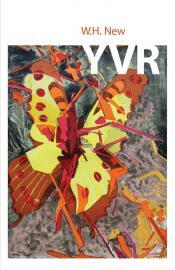 YVR weaves a suite of lyrics into a powerful long poem, a citywide Vancouversong. Combining memoir, civic history, love song, and social critique, it’s a highly personal poem, vividly rooted in Vancouver life, and at the same time a charged portrait of social change. In three parts, it begins in disaffection and disruption, tracks its way back into images of childhood (bush, beach, boys at war), and then moves forward again, celebrating ‘’the sawtooth Coast’ and the river, ‘the shingle house of interruption’ and the polyphonic voices of the city now. A poem about instability and edges--about seeing them, addressing them, embracing them--at its heart is a remarkable walk the length of Main Street. To read this book is to live the city: it will fret you, rankle you, jar you and surprise you. It will take you into the city that only a few people know, and it will touch your heart.